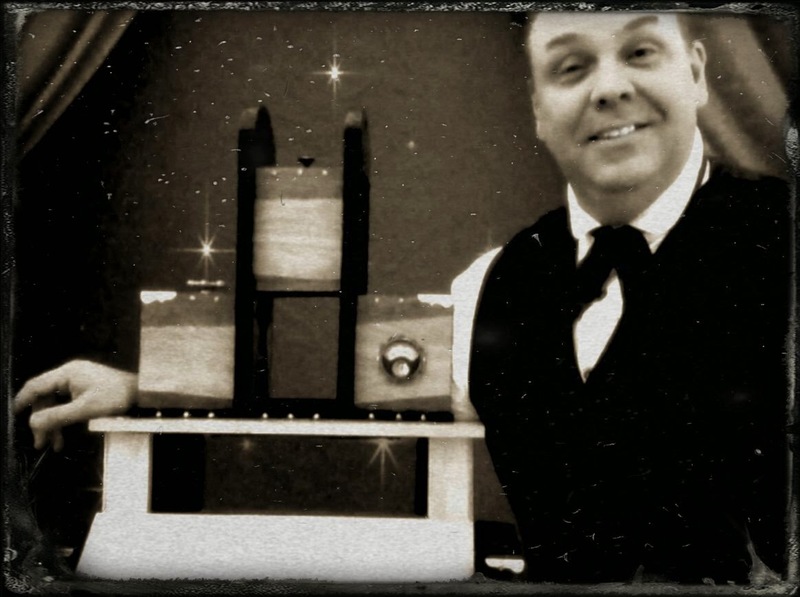 Carnegie Magic and The Steampunk Illusionist: Everyone Doing Steampunk? I heard this statement recently, "Everyone is doing Steampunk". It was said by a fellow illusionist and I had to laugh a little. It's not true, exactly. I can tell you what is true, there is a trend lately in the stage magic world towards the steampunk look. Also, from what I have seen, a lot of the time the look is incorrect. Now on the other side, there are a number of magicians who have gone steampunk and what they do seem to get correct is the costuming. I can't say much for the material as I have not seen what they do. I know of one fellow who does a steampunk magic act and I know his stuff is right on the mark. No, strike that, I know of two people, Pop Haydn and Master Payne. Pop Haydn LIVES his act and it's killer. Master Payne is a very talented individual who has been able to create a number of different period style acts. These guys present great material. But I've also seen people who don't seem to get it correct. I've seen some folks who dress up in steampunk clothes but their act has little to do with steampunk. Also, I've seen some people with steampunk props but again, little do to with steampunk. And worse, I've seen some with 'steampunk-like' props that miss the mark totally. Now it is true that steampunk can be interpreted differently, but slapping a few gears and cogs on a box and calling it steampunk isn't hitting the mark. Let me also apologize for those who are doing steampunk magic correctly, who I didn't name. I just am not familiar with everyone out there. Also, I'm not here to advertise other acts on MY blog, lol. I won't be naming any of the 'bad' acts. And I'm not naming any illusionists here either, as that would be working against my own interests. I have seen a couple incredibly cool illusion acts who are doing steampunk. My act actually runs a fine line between actual Victorian and Steampunk. The premise behind my show is that I am a modern day performer who finds himself transported back in time and must use the technology of the day to get home. Magic is theatre afterall, at least stage magic is. And as I've mentioned before, I have a great interest in magic history and this genre allows me to explore historical magic along with more modern day effects with a different twist. I don't think steampunk is for everyone. I know some guys who do just Victorian and you know what, it fits them wonderfully. The true secret behind any act, whether it be steampunk, victorian, contemporary, or whatever is the performer. The performer is the most important thing. In a themed act the performer must be believable and must be likeable. The costumes and props are tools that complete the theme and tie it all together. But if the performer is not likeable, does not have a strong personality, then he/she is just a person in an unusual costume presenting tricks. Rather than trying to do steampunk because others are doing it, try to find that which fits you best. Maybe it's sports, maybe it's movies, maybe it's science, maybe it's literature, only you know. Use the things that interest you to build an act. If it is steampunk, then learn all about it first. But if you just like the look, and who could blame you if you do, it might be best to go another direction. That's my advice for the day.